Indiegogo brings the whole company for 1AM blowout! 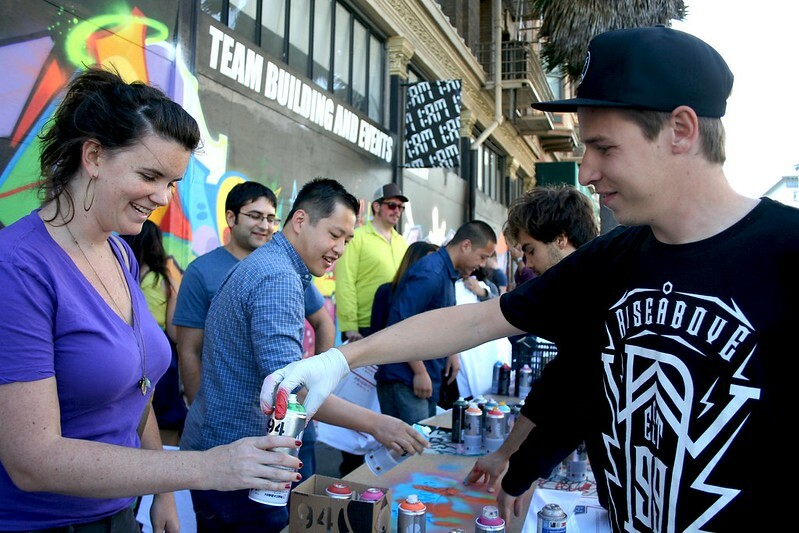 Indiegogo paid us a visit at the gallery for a special catered event which included the entirety of their staff and saw them spray painting, stenciling, and tagging with graffiti markers for hours. 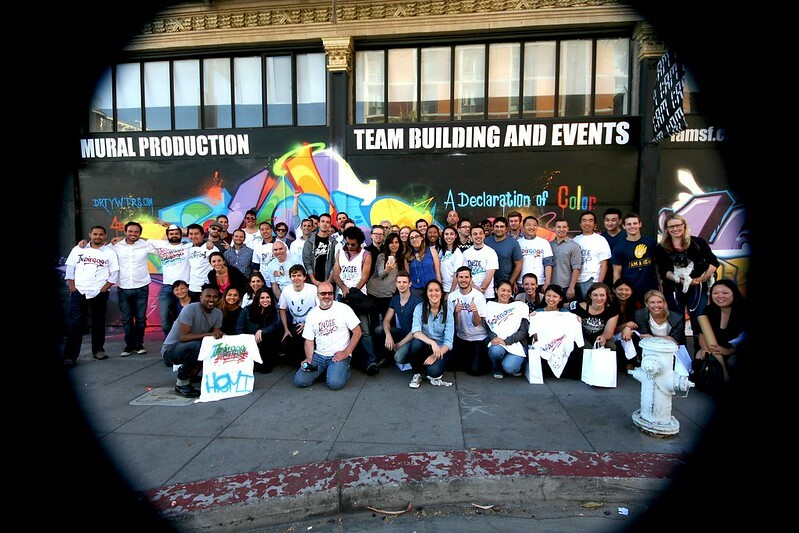 Demonstrating their positive attitudes and creative energy from the very beginning, the team ultimately took nine canvases back to their office only blocks away. They chose “Indiegogo”, “Go”, “Collaboration + Empowerment”, “Fearless + Authentic” and “Together Do Anything” as the featured phrases for their murals and from individuals’ reactions, they couldn’t have been happier with how the murals turned out. Get in touch with us by email at privateevents@1amsf.com to make one of these events a reality for your company or group! 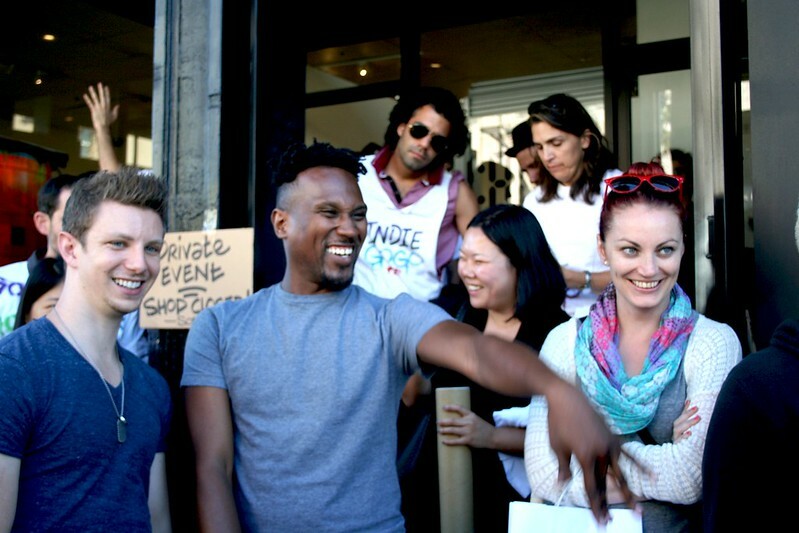 « Nutro embraces a whole new type of offsite!